The five nodes in Figure 9 represent a generalisation of the major knowledge processes, and it is quite evident that technology, in the form of the laboratory informatics tools, has an enabling role in a laboratory knowledge ecosystem. From laboratory informatics to knowledge management, technology is predicated on logical and systematic processes. But serendipity has always had a significant role in science. Many scientific advances have originated from ‘what if’ moments, chance observations, and things that went wrong. Failure often has more to teach than success! With a growing emphasis on right-first-time, error-reduction, and productivity, it is a management challenge to take the time to review and assess successes and failures. The role of the informatics tools within a smart laboratory, or ‘knowledge ecosystem’ (Figure 9) is important. They are strong in terms of capturing, recording, and organising data, and increasingly, they provide facilities for sharing information. But further opportunities arise with regard to evaluation and learning (data analytics) and experimental design. Further afield, they will contribute to predictive science. Nevertheless there needs to be some space for ‘right brain’ thinking, alongside those systematic and structured approaches for increasing efficiency and productivity. Innovation depends on knowledge and understanding. Although technology can assemble and look after the data, making sense of it is down to human assessment and understanding. In the main, so-called knowledge management ‘solutions’ are no more than data or information management solutions. It’s only when the human component is added that knowledge management can flourish, and even then, it needs the right environment – hence the concept of a ‘laboratory ecosystem’, or smart laboratory. Although management may want to see such an ecosystem, it can buy only the tools, it needs to create the right environment if the knowledge ecosystem is to be nurtured and cultivated. The ecosystem is dependent on an open and collaborative culture and supportive leadership; not secrecy, discipline or rigid management. Participants need to opt in; not be forced in. One worry is that the digital revolution may be driving a lot of thinking to be ‘digital’, with the risk that random, analogue mindsets and gut feelings may be seen as irrelevant and inconsistent with modern concepts of science. This way of looking at things may shed some light on why the early ELN market was sub-divided into different solutions for chemistry, biology and QA. The risk for a multi-disciplinary laboratory that is looking to implement an ELN would be to adopt a one-size-fits-all approach. This could generate disaffection amongst users. The current informatics market is moving towards more modular solutions, which have a generic core, and optional discipline-specific modules. This creates a better opportunity to find a single-source solution. The shared functions can be separated from the scientific functions which are closer to the heart and soul of the scientist’s laboratory work. Shared functions would include such issues as document authoring, approval/witnessing, file and document management, and legal and regulatory compliance – all of which fall into the ‘bureaucratic’ category and which lend themselves to process improvement opportunities more readily than the scientific aspects. It may still be a one-size-fits-all approach, but it can be designed to accommodate the requirements of multi-disciplinary laboratories, and to standardise and improve common sub-processes, rather than making compromises. Ideally, laboratory informatics tools should not be perceived as an intrusive bureaucratic process, but rather as something that facilitates the scientific method and doesn’t intrude on the social and intellectual processes that are essential to the science. Achieving this objective is essential to joined-up science and to user acceptance, and is a responsibility that falls to management in its objective of building a smart laboratory. It requires a sympathetic view of the requirements of the different disciplines, and the way in which these functions are managed and provided for, even when organisational demands push for increased uniformity and consistency. 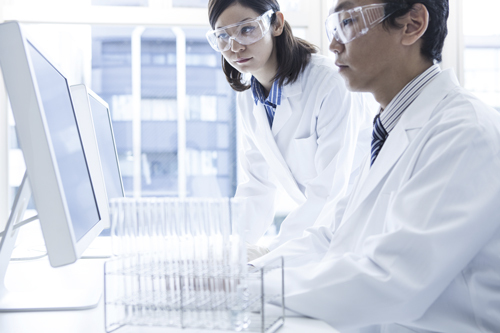 The concept of a smart laboratory will vary from organisation to organisation depending on the nature of its business, and the technological choices it makes. Discovery and development are increasingly recognised as two steps in a holistic product life-cycle process rather than stand-alone functions. The focus of this guide has been on technology, with due consideration to the laboratory processes to which it can be applied. It has also touched on some aspects of culture and technology adoption, but it must be remembered that user acceptance is a critical success factor in almost every system or project. Technology on its own cannot overcome challenges in the laboratory. The take-home message is that to become ‘smart’ the lab users’ and managers needs to understand its role in the organisation’s end-to-end business processes and optimise its technologies to fulfil those requirements.